Many Japanese people are off work during the first three days of a year, when family and friends get together for New Year’s greeting. 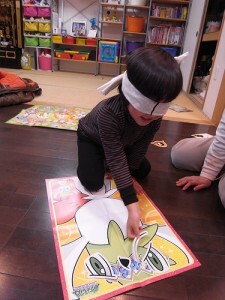 One of the traditional games we play with family is “fukuwarai (Lucky Laugh)”. The players place different parts of the face such as the eyes, eyebrows, nose and mouth, onto a blank face and laugh at the humorous results. 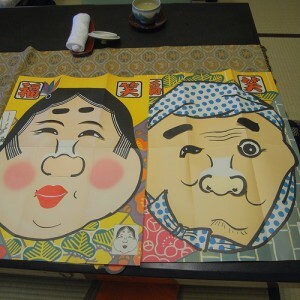 The typical characters used for fukuwarai are okame (a flat-faced woman) and hyottoko (Japanese clown man) but there are anime character-faces ones on the market too. You can download fukuwarai from this website. For those of you in other countries in Asia must be familiar with the Lion Dance. We have Japanese version of the Lion Dance called shishimai too! It’s a common auspicious icon for a New Year. Usually, two or more people wear a Lion costume and perform the dance but there is a small dancing shishimai robot that is perfect to entertain visitors at home. 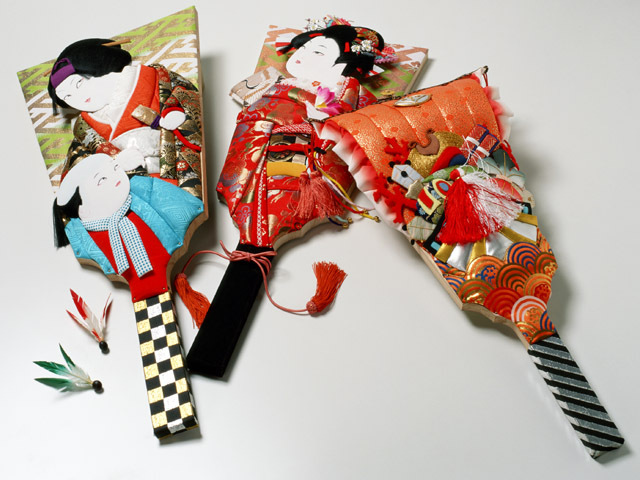 The music comes from the shishimai is so cheerful and gives the feel of New Year! Another New Year’s entertainment that people are expecting is the traditional ladder performance called Hashigo-nori is performed by fire fighters. It’s performed in the first demonstration of a fire department for the year started in Edo period (1603-1868). Fire fighters show their skills and courage to the neighbors. What’s your new year’s day like? Did you do something special?